My ice cream maker hates me. Honestly, I don’t blame it. It’s been sitting in my basement, neglected for years. My husband bought it for me several years ago. I was thrilled at the time. I opened the box and tenderly caressed my new toy. I had big plans. I was going to be an ice cream maker extraordinaire, put Ben and Jerry’s to shame, give Mr. Baskin and Mr. Robbins a run for their money. And you know what? In all the years I’ve had the ice cream maker, I haven’t made even one single batch of ice cream. Sort of reminds me of the summer my dad decided he was going to become an amateur fisherman. He went out and bought all of the supplies; a couple rods, lures, and a box to keep it all in. He fished for a summer, which is more than I can say about me and my ice cream maker. But then the fishing supplies got packed away alongside the abandoned bread machine and juicer. My sister blames Price Club for all of their tantalizing deals, which repeatedly sold our father on new hobbies alongside large tubs of mayonnaise and 100-packs of toilet paper. But this post isn’t about fishing, juice-making, or other neglected hobbies. It’s about ice cream. I was inspired to give my ice cream maker its maiden whirl by a friend of mine, who recently started a wonderful blog with her sister, www.weknowstuff.us.com. They write about all sorts of interesting topics, including childcare, healthy eating, caring for an elderly relative, and my favorite topic, recipes! 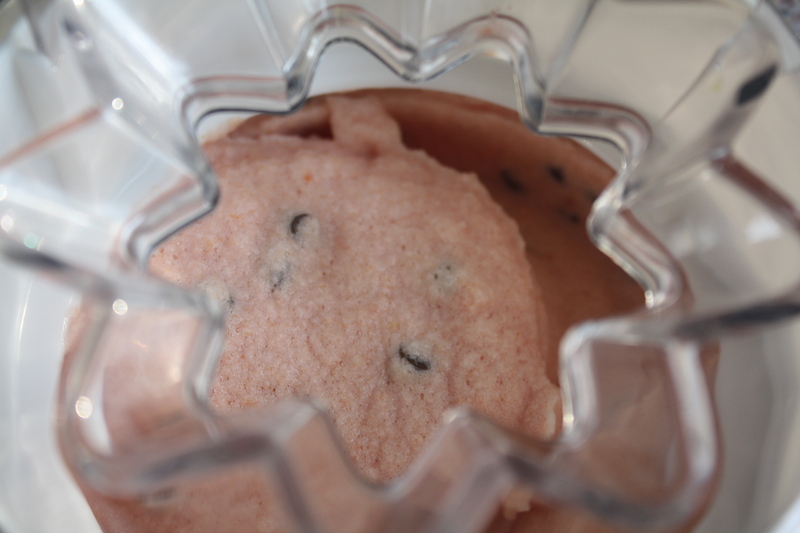 In one of their recent posts, they shared a step-by-step recipe for Watermelon Ice Cream, slightly modified from an Emeril Lagasse recipe. The little chocolate chip seeds are what really sold me. I was instantly reminded of the delicious Friendly’s Wattamelon Roll, which my husband goes gaga for, and set my mind on making one. There’s a long story here, involving the mutilation of multiple innocent watermelons, an angry and uncooperative ice cream maker, and four (yes, four) batches of watermelon ice cream/sherbert and one batch of lemon sherbert. There are tales of too icy, too creamy, and too sweet. There are tales of repentance and forgiveness. I could regale you with stories of watermelon water content, ice-crystallization, cream vs. milk, and no-sugar added. I could explain why I chose to make a sherbert instead of an ice cream. But, I won’t bore you with the details. Suffice it to say, the ice cream maker and I are now the best of friends and I mastered two beautiful, melt-in-your-mouth sherbert recipes. Enjoy either recipe on its own or use the two recipes together to make your own watermelon sherbert roll with all the same flavor of the original Wattamelon Roll, minus the Disodium Phosphate, Red 40, and Blue 1. 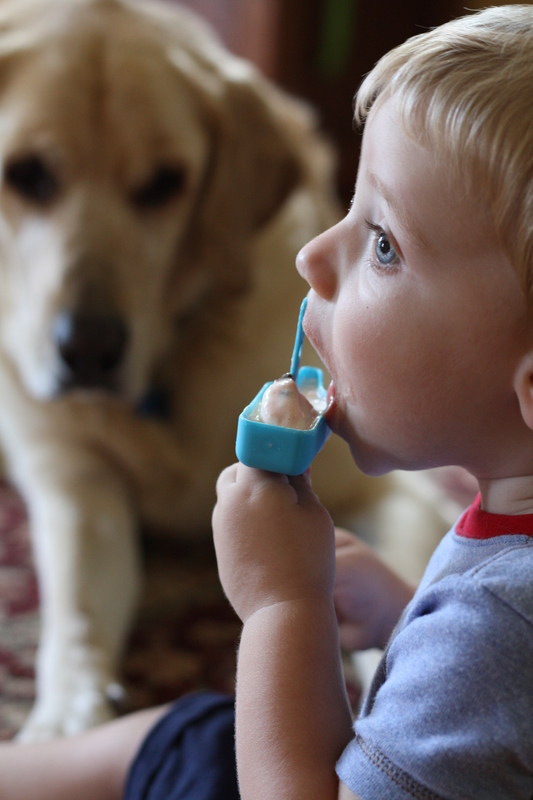 Make sure your ice cream bowl is completely and thoroughly frozen. I turned the temperature down on my freezer to get the bowl to get the bowl cold enough. Leave the ice cream bowl in the freezer until the last minute. It will begin defrosting quickly once you remove it. 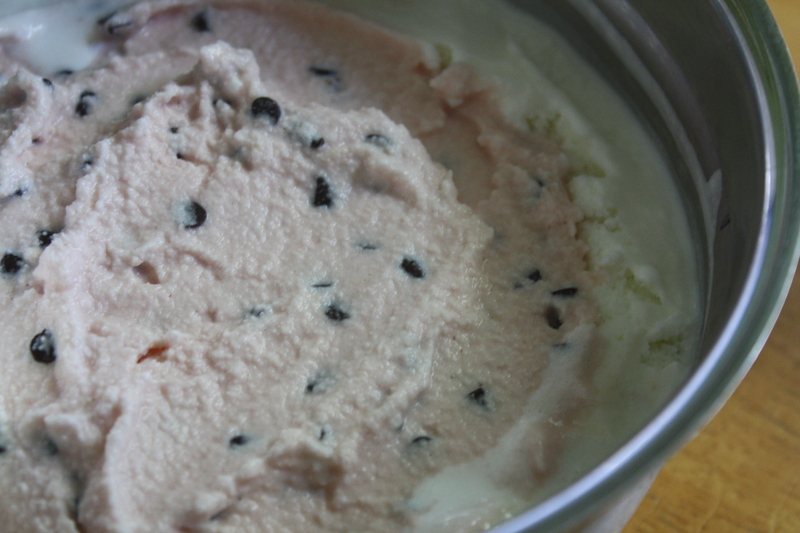 Chill your ice cream mixture before pouring it into the ice cream maker. You can make ice cream or sherbert with milk or cream, but what you use will affect the texture. Choose wisely. The recipes I have provided are what I found to be the best balance of texture and taste, while keeping waistlines in mind. 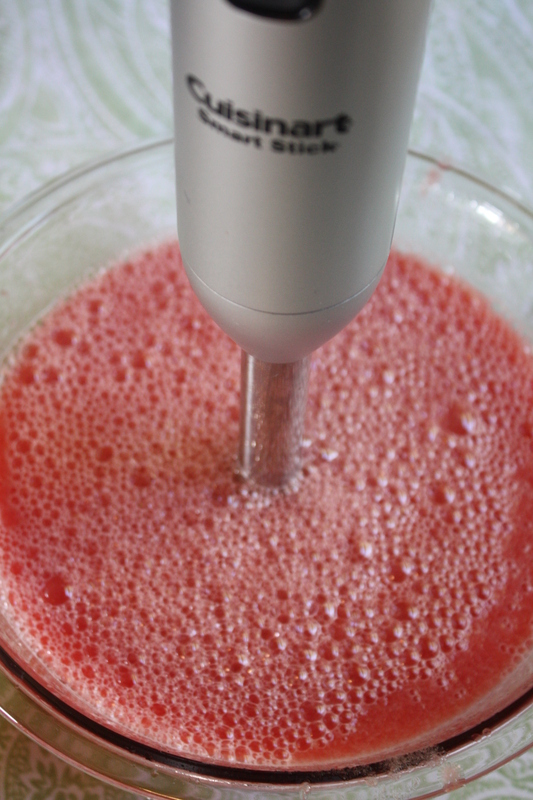 If you don’t have an ice cream maker, you can make a decent sherbert by allowing the mixture to freeze for 30 minutes or so, then blending the partially frozen mixture in a blender. Allow it to partially freeze again. Blend again. Then, allow it to completely freeze. This process will introduce some air into the mix as it freezes and breaks up some of the ice crystal formation. It will produce a tasty sherbert but the end result won’t be as creamy or smooth as with using an ice cream maker. Combine the cream, milk and sugar until completely dissolved. Add the lemon juice. Stir to combine. 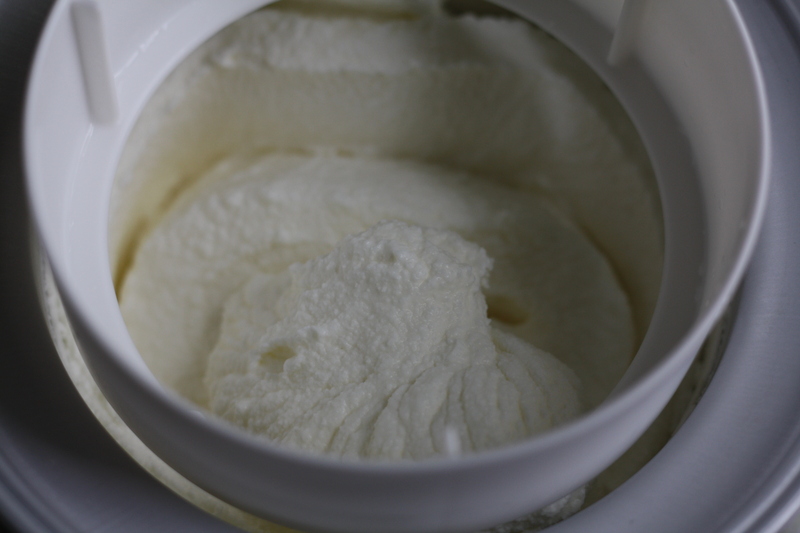 Pour the mixture into your ice cream maker and freeze according to your machine’s directions. Puree the watermelon until it’s liquid. You should have about 3 cups of watermelon liquid. Pour the liquid in a saucepan and simmer until the liquid reduced to about 1 cup. It will appear thick and syrupy. Cool the liquid completely. In bowl, combine the milk, cream, and sugar. Stir until the sugar is completely dissolved. Add the watermelon mixture to the cream mixture. Add the lemon juice. Stir to combine. Pour the mixture into your ice cream maker and freeze according to your machine’s directions. When the mixture has thickened, add the chocolate chips to the machine. 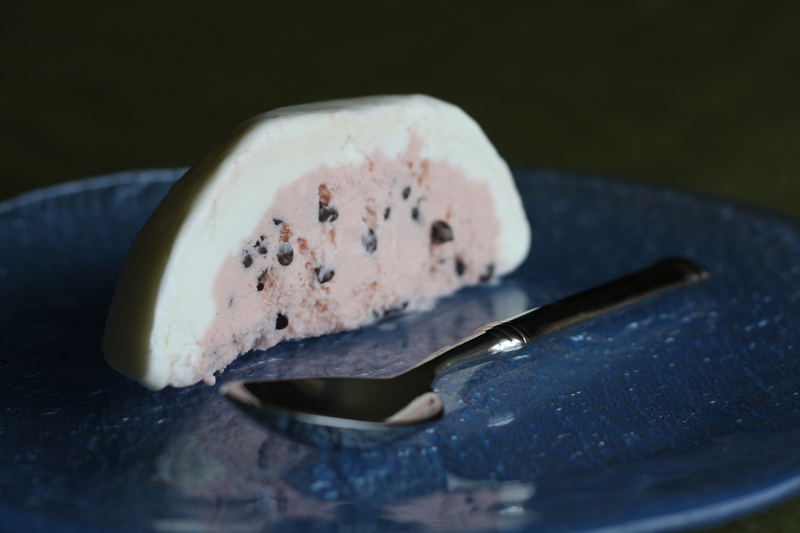 To create a watermelon roll, press lemon sherbert onto the bottom and sides of a round bowl. Fill the center with watermelon sherbert and freeze. If desired, paint the exterior with green food coloring. 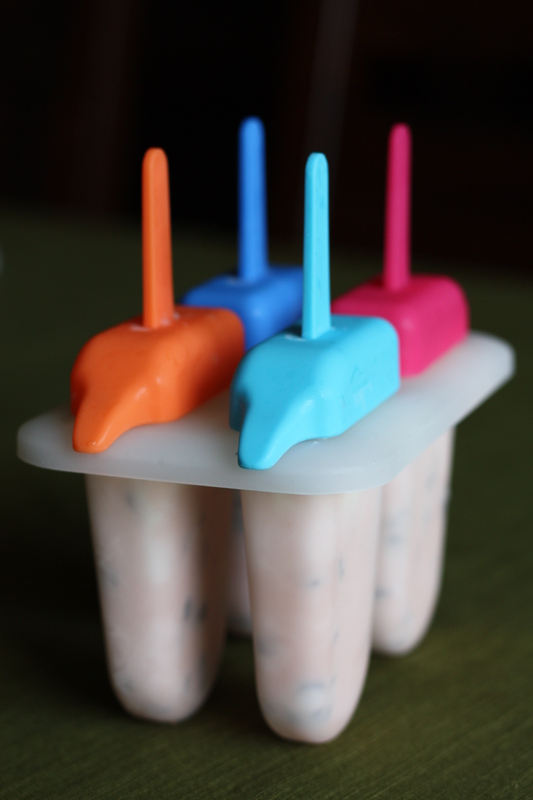 Another alternative is to create watermelon pops. 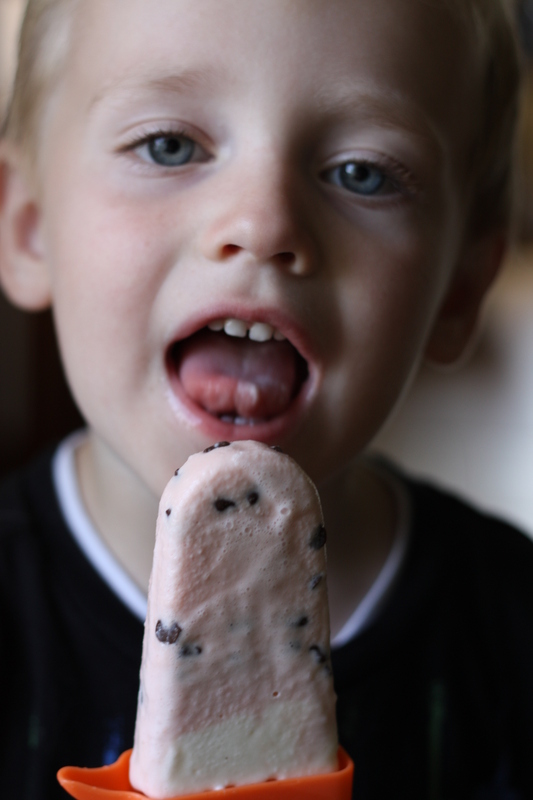 Posted in Desserts, Food, Ice Cream, Recipes and tagged Cooking, cooking with kids, Food, food photography, ice cream, kids, life, Recipes. Bookmark the permalink. Give that poor dog a bite! Haha! 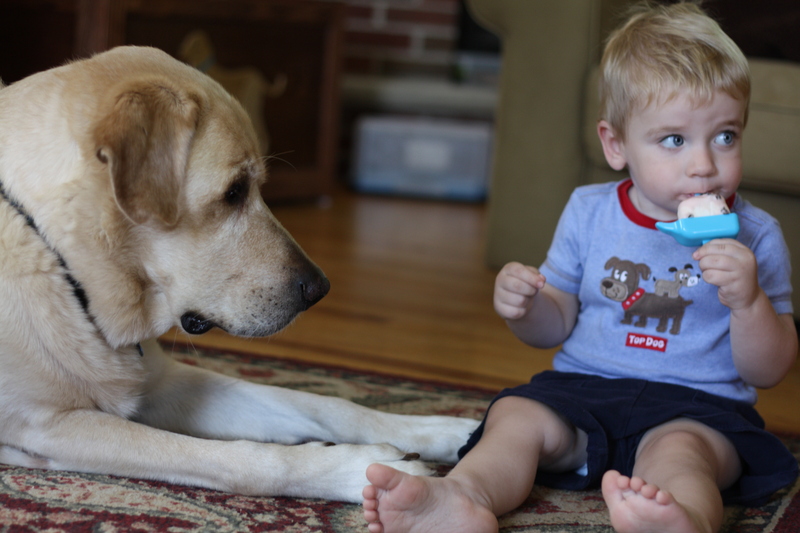 I was wondering if anyone would comment on our dog staring at the watermelon pop, trying to will it into his mouth. When you puree the watermelon are you supposed to strain the liquid watermelon before putting it in the pot to simmer and reduce? I did not strain mine and after simmering for an hour and half it never became thick or syrupy. It had a consistency more like tomato sauce when i finally said enough simmering. I only ended up with a little more than half-a-cup from 4 cups of 1-inch cubed watermelon. It’s been so long since I wrote (or have cooked) this recipe, so I don’t remember exactly, but I’m pretty certain I did not strain it…just reduced it until there was about 1 cup of liquid/puree left. The idea of the reducing in this recipe is mostly to eliminate some of the excess water from the watermelon puree, so that you’re left with a strong watermelon flavor, but not an overly icy consistency. Hello! Do you remember what kind of milk you used — whole, skim, 2%? Thank you! I almost always use whole milk when I’m making any sort of ice cream. You could sub. 2% or skim, but the texture may be a bit less creamy and a little more icy.